That is an even deeper cut than the 10 percent expected by some insiders; post-Nokia, Microsoft had about 125,000 employees. And this is much larger than the roughly 5,800 people cut back in 2009. To cover these costs, the company said it expects to take a pre-tax charge of $1.1 billion to $1.6 billion over the next four quarters, including $750 million to $800 million to cover severance and benefits for affected employees. Here’s Nadella’s email to employees. And in another corporate email, Executive Vice President Stephen Elop noted a shift in Microsoft’s phone-and-mobile strategy. Elop wrote that at Microsoft, the phone business is part of a bigger strategy, not an end in itself as it was for Nokia. Microsoft, as reported, needs to slim down after its $7.17 billion buyout of Nokia and to focus on key “CloudOS” and productivity tools across devices. Speculation has been off the charts for more than a month — with one recently departed employee saying that insiders immediately scrutinized and worried about Nadella’s recent marching orders memo and the diagram depicting Microsoft’s “core” (shown below). Microsoft will announce its fourth quarter earnings July 22 and it made sense to get this news out before that. This story was updated several times Thursday morning as more details became available. If you work inside a large enterprise IT shop, consider this. The world’s largest and most successful enterprise IT organizations just announced a major downsizing after 2 years of restructuring. Their business model is supporting you, and ultimately your customers. 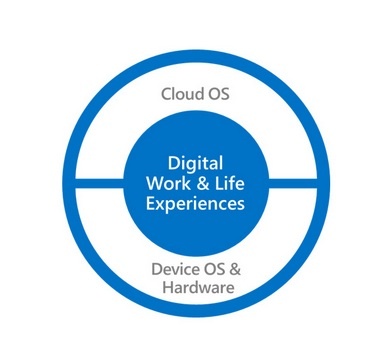 Microsoft has recognized the way that they do business needs to change. The business model they used to make them successful in IT had to change. How come no one is questioning this, One Monkey hires and a new donkey fires, easiest solution of showing or proving ones worth is cutting down staff, is this what is taught in management schools. None of these donkeys show true leadership and real strategy, also always why the hardworking lower cadre and not the arse holes with fat pay check and dumb brains in the upper rung of the organization. Remove one useless donkey and u can save a 100 hardworking ants. IN THEIR EAGERNESS TO EXPAND THESE COMPANIES HAVE AMBITIOUS PLANS AND FORGET THE WELFARE OF THE EMPLOYEES AND LAYING OFF SUCH A HUGE NUMBER IS INDEED A SAD AND DEMANDING SITUATION. The next 10 or so years are gonna be REAL interesting….I saw an article in the Washington Post that said 92 million Americans don’t have jobs! This is the highest number ever recorded. We need to put America back to work! This is the most anti-business administration in Washington in our lifetime. As far as I’m concerned, the only mystery is how much they are fudging the unemployment numbers. Let’s not forget we now have the lowest labor participation rate since Carter. Excessive regulation, lawsuits, billion dollar fines by the government, gigantic health care payments, no growth policies like no keystone pipeline, illegal immigrants, etc. aren’t doing much to improve our economy. Iâ€™m a skilled programmer and like a lot of the MS employees are soon to be, I’m unemployed – I eat cereal, rice, and beans for every meal. I canâ€™t afford health insurance. I donâ€™t drive much cause I canâ€™t afford gas. I have bare minimum $19/month car insurance (from Insurance Panda). I cut cable/internet and share one with my neighbor. I havenâ€™t been put to eat or to the movies in god knowâ€™s how long. Fortunately, Obama wants to give amnesty to 25 million+ illegal immigrants. No better way to create opportunity for disenfranchised LEGAL CITIZENS. Kick them out and give Americans their jobs back! I don’t think those illegal immigrants are taking away positions from a skilled programmer like yourself. But they will take away someone else position away. Chargeoffs for layouts and terminations are such a head fake for investors. The day people stop coming to work overhead expenses go down from the use of facilities, managers, support issues, and the like. Companies just keep paying some of what they used to pay, a net savings. Payouts to those let go is the same as to employees; lump sum payouts are better for the laid off than the employed! Windows phone is such a huge money loser. Microsoft was pumping billions to keep Nokia alive then wasted $7B on the acquisition. They only sell well into the lowest end smartphone market for no profit. That end of the market spends next to nothing on Apps and value added services. Maybe they’ll only need to do this one time. Others in the space have made an art form of the slow bleed.